Heirlooms Reunited: 1888/1889 Autograph Album of Flora Recie Bliss of Washington, D.C.
1888/1889 Autograph Album of Flora Recie Bliss of Washington, D.C.
1888-1889 autograph album that belonged to Flora Recie Bliss of Washington, D.C. 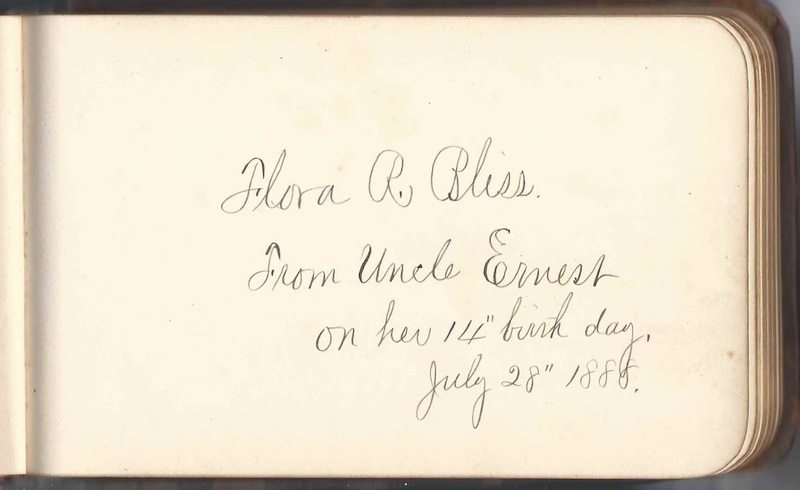 The album was given to her on her 14th birthday on July 28, 1888 by her Uncle Ernest. Hopefully a reader can further identify Uncle Ernest. 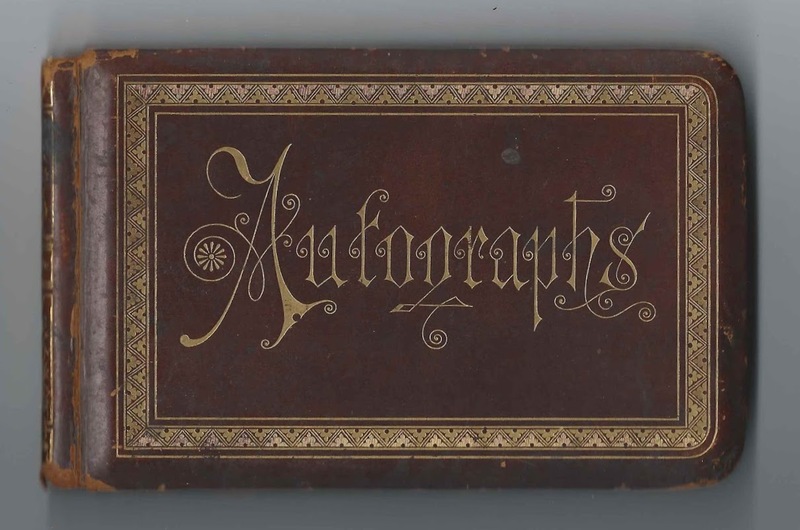 The album is approximately 6-1/4" x 3-3/4" and contains the sentiments of 11 of Flora's relatives and friends. An alphabetical surname list and an alphabetical list of senders, together with any personal information, appear at the end of this post. Flora Recie Bliss was born 28 July 1874 at Washington, D.C., the daughter of Connecticut natives Alfred G. Bliss and Jane D. (Spencer) Bliss, "Jennie". On 26 June 1901 at Washington, D.C., Flora Recie Bliss married Alfred C. Pickels or Pickells. They had a daughter Dorothy, born about 1902. Emily De Akers inscribed a page on January 11, 1889. Kate Hilton inscribed a page at Washington, D.C. on on February 13, 1889. Lillie Ferguson signed a page at Washington, D.C. on January 11, 1889. Lottie E. Lynch, signed at Washington, D.C.
Lula Reagan, signed at Washington, D.C.